Having Wi-Fi issues 4 Reasons Why Your Wi-Fi Is So Slow (And How to Fix Them) 4 Reasons Why Your Wi-Fi Is So Slow (And How to Fix Them) Suffering from slow Wi-Fi? These four issues can slow down your network. Here's how to resolve them to get speedy again. Read More on your PS4 is extremely frustrating. Without an internet connection, you can’t join friends in a party, play with others online, or even download updates for your games. If connecting an Ethernet cable to your system isn’t an option, we have a few tricks that should help you out. This sounds strange, but it’s worked for some people. If you have an original model PS4, it can only connect to the 2.4GHz band on your router. The newer PS4 Slim and PS4 Pro can both use either 2.4GHz or 5GHz bands. Certain routers combine both bands into one SSID. If you receive an error on your PS4 that the signal is too weak, try enabling the guest network on your router and connecting the PS4 to that. You’ll need to open the Web Browser app to punch in the guest access code before you connect. If your PS4 is far away from your router, you’ll experience unstable performance. Try to move your system as close to the router as you can and see if that improves anything. Slow connection speeds on your PS4 might be caused by interference. This is especially true if your PS4 is connected on a 2.4GHz band. Try turning off any other game consoles and computers on your network, plus devices like microwaves too. 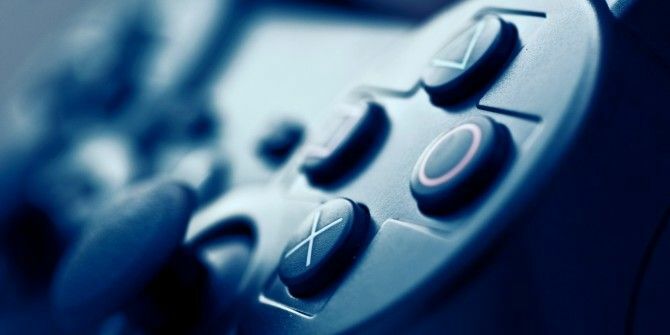 Downloading files on your computer, or streaming video on your phone, could also slow down your PS4’s performance. If you try all three of these fixes and nothing works, your best bet is investing in a set of powerline adapters Wi-Fi Extenders vs. Powerline Adapters: How to Fix Poor Wireless Signals Wi-Fi Extenders vs. Powerline Adapters: How to Fix Poor Wireless Signals If your router's Wi-Fi signals are weak and unreliable and you can't seem to find a solution, the answer may lie in Wi-Fi extenders and/or powerline adapters. Read More . These simple devices plug into an outlet; you then connect an Ethernet cord to both devices. The network signal runs over the power lines in your home, allowing you to enjoy a stable wired connection without running a cable all the way to your router. If you end up having to replace your system, check out how to transfer data to a new PS4 How to Transfer Data From Your Old PS4 to a New PS4 How to Transfer Data From Your Old PS4 to a New PS4 In this article, we walk you through the whole process of transferring data from your old PS4 to your new PS4. Read More . Explore more about: PlayStation 4, Troubleshooting.